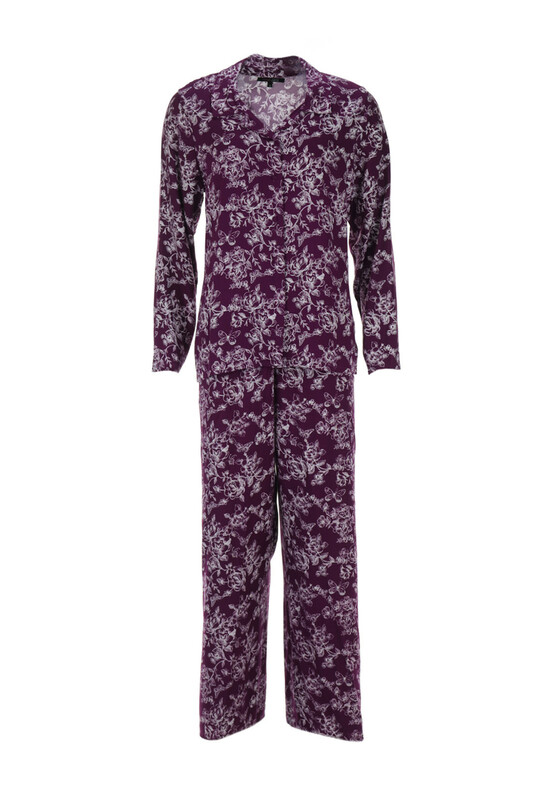 Presented in a beautiful purple shade, these pyjamas from Indigo Sky would be a great update for your nightwear collection. Made from lightweight fabric which will lead to a great night’s sleep. The long sleeve pyjama top has an all over white floral print and button fastening while the matching bottoms feature an elasticated waistband.